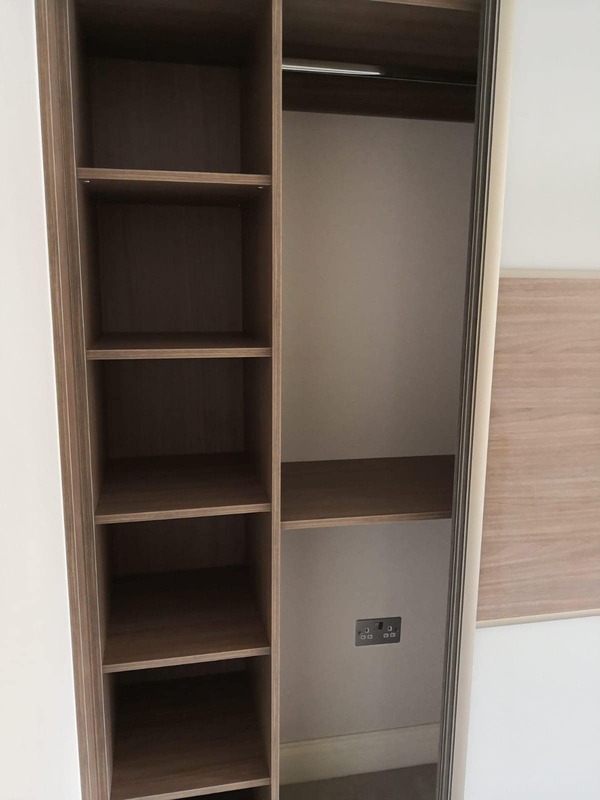 Our most recent customer originally had flatpack furniture put into their home that did not work with the current layout very well. 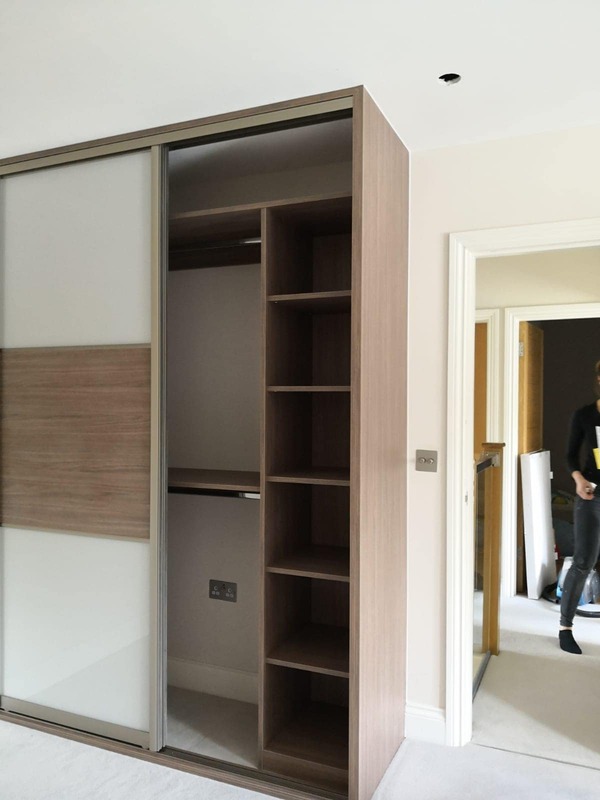 Instead of purchasing new flatpack furniture the client decided to come to Furniche for a consultation and design meeting for their new wardrobes. They wanted something that was flush to the wall and looked luxurious. During the design process, the client wanted to make sure they had enough hanging space along with shelving for their bags and shoes. 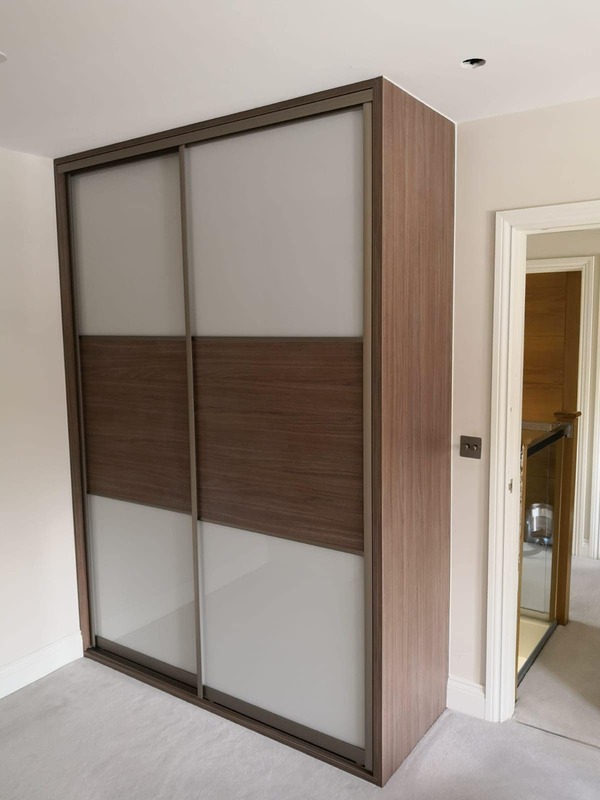 Instead of having doors that pulled away from the wardrobe, we decided to go with a gorgeous three-panel sliding wardrobe with a chalk grey glass, walnut central panel and glass end panel. 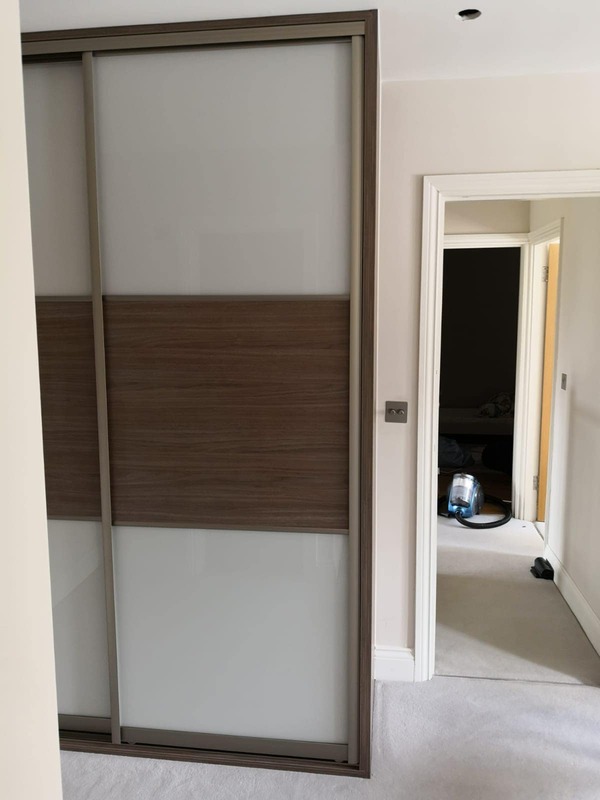 The wardrobe was specially designed to fit the small space they had and stop just before the light switch and door frame. I am really pleased with the work completed by Furniche, from the start they were extremely helpful and very professional. The wardrobe is stunning and looks so luxurious in our master bedroom.